An 8-day holiday in search of mammals and birds in Scotland's 'wild west', the Ardnamurchan peninsula, the westernmost area of the British mainland. The Ardnamurchan peninsula is the westernmost area of the British mainland and on this 7-day tour we’ll be staying on the Ardnamurchan Estate on the south coast of the peninsula from where we will make day-time and night-time excursions to look for the region’s special mammals, including Wildcat. 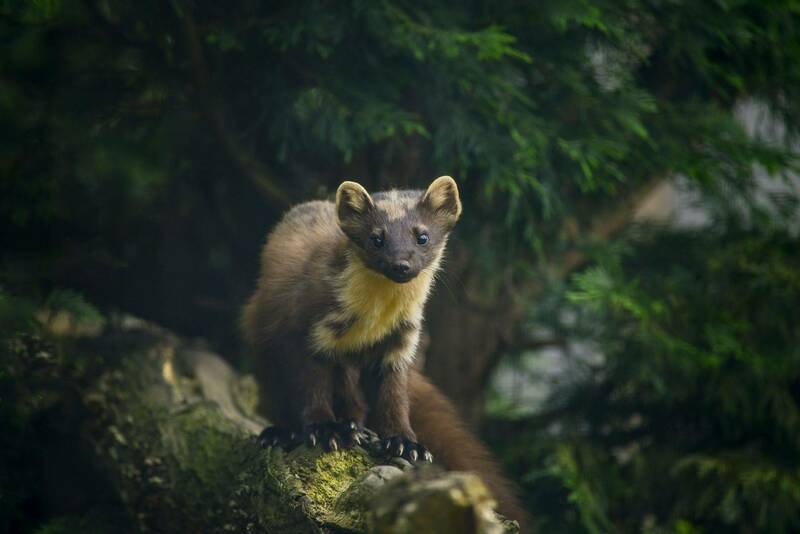 Our base on the Estate gives us easy access to nearby woodland which holds a high density of one of Britain’s most beautiful and elusive mammals, the Pine Marten, as well as Roe, Fallow and Red Deer, Badger and Fox. 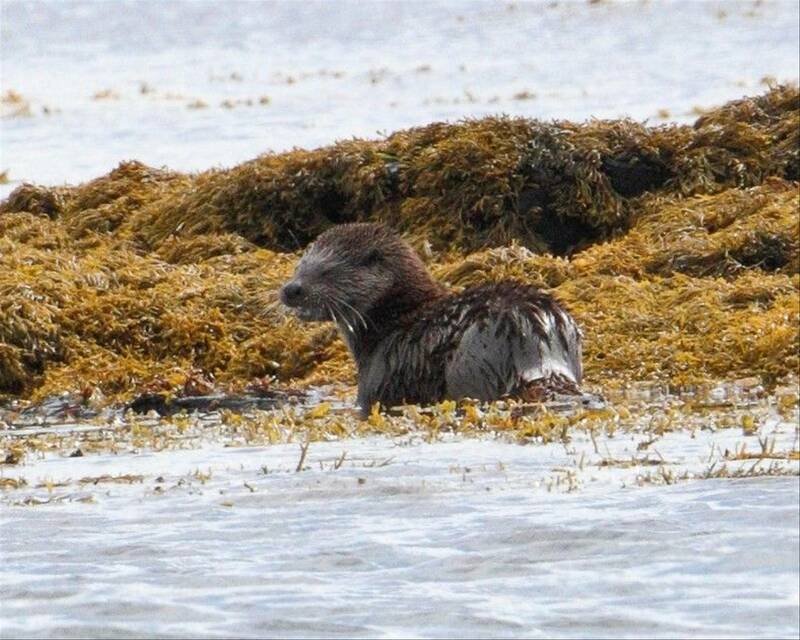 The sheltered bays along the south coast of the peninsula are home to Otters, seals and seabirds and we will explore this, as well as the north coast where we will look for raptors and Red Deer. We will not confine ourselves to looking for land mammals, and on one day we’ll take to the sea to visit smaller isles and hope to see Minke Whales and other cetaceans. Excursions on and from the Ardnamurchan peninsula. We were looked after from dawn until dusk by expert guides who sought to fill each day with the great experience of getting close to wildlife. Their knowledge of the area was amazing and they were able to answer our questions confidently. There was a great rapport among our party of 12 guests. Food and accommodation was great and dietary needs attended to carefully. I saw many different species of mammals, birds, and aquatic life. There were opportunities to go out early morning to see otter and deer, late at night to see owls, deer and pine marten and two boat trips giving amazing sights of surrounding scenery and wildlife. Comfortable guesthouse; all rooms with private facilities. Peter is a professional ornithologist, author and popular tour guide. Originally from Sussex, where he retains a great love of the South Downs, he now lives in East Anglia and has recently retired from working for Natural England. Peter has been interested in birds and wildlife ever since he can remember and has travelled widely in Europe, Africa, Asia and North America. He has been leading tours for Naturetrek for nearly 20 years, most recently to Ethiopia and Kazakhstan and closer to home to the northern isles of Islay and Jura; he feels equally at home in an African or Asian rainforest or the wide open tundra of Siberia or Alaska. 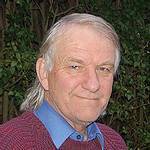 Peter is also an acclaimed author of several ornithological monographs including 'Thrushes of the world' and 'The Chiffchaff'. His other interests include mammals (especially those in Europe) and helping others to enjoy wildlife. 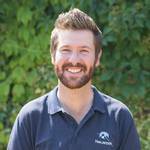 Marcus developed a passion for wildlife during his childhood spent in rural Somerset. Ever since, his fascination with birds and mammals has taken him to diverse destinations - from the Cape of Good Hope in South Africa to the Rio Grande in Texas. 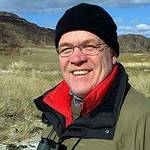 Closer to home, he has travelled extensively across Europe and has developed a special connection with the Scottish highlands and islands, which he visits regularly to study and photograph wildlife. 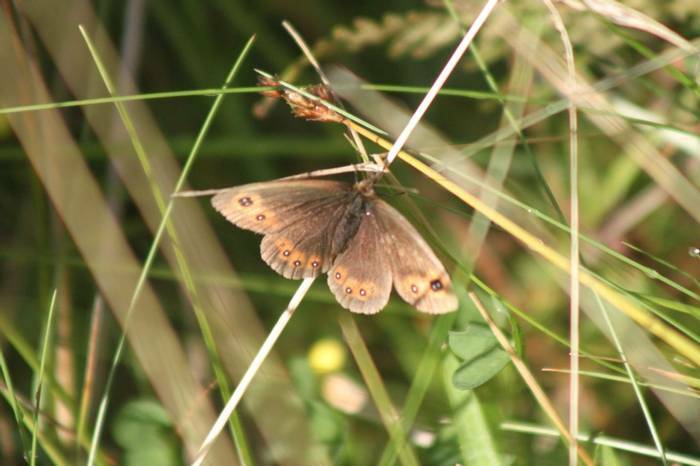 Although primarily a birder, Marcus has also developed considerable expertise in the mammals, butterflies and dragonflies of the British Isles. Marcus has led several tours in the UK and his approachability, friendly advice and guidance are always appreciated by our clients. The Ardnamurchan peninsula has a very special atmosphere, deriving from its isolated location in the far west of the Scottish highlands. 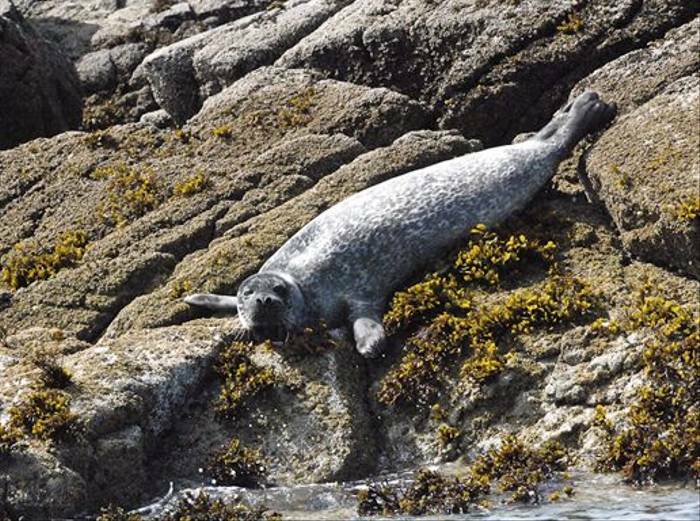 Here, the remote situation and an invigorating blend of superb wildlife, breathtaking scenery and crisp sea air combine to offer the visitor a unique experience that is far removed from the pressures of modern life. On this tour, as we travel through a variety of stunning landscapes, it will be impossible not to be moved by a real sense of wilderness. 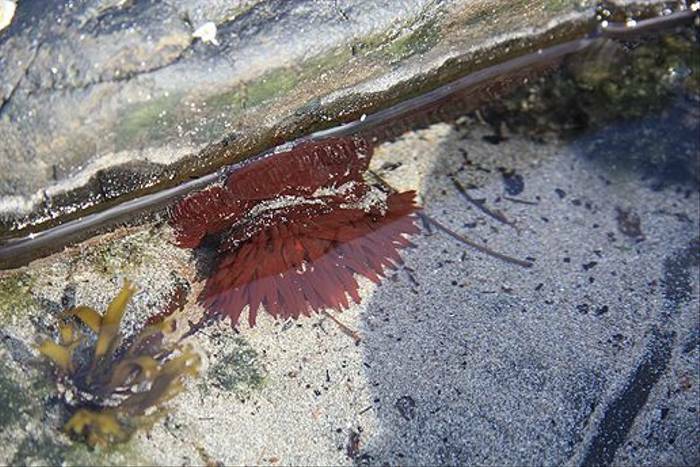 The pace of life here is dictated by the remoteness of the peninsula and, as we adjust, we can truly appreciate the wild beauty of this unique place. To reach it, we will meet in Glasgow, then journey north through Glen Coe to take the Corran ferry over Loch Linnhe to Ardnamurchan. This crossing lies on one of the ancient routes along which the highlanders drove their cattle to market in central Scotland. We then turn west and head through the pretty village of Strontian. From here, the single-track road hugs the coast for most of the 50 miles to Ardnamurchan Point, the most westerly place on the British mainland. 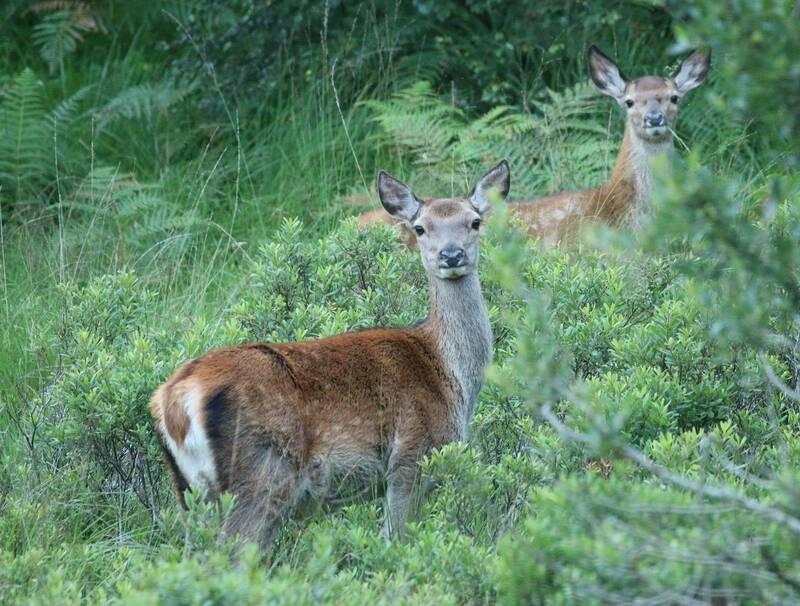 We will be staying on the Ardnamurchan Estate, close to Glenborrodale Castle, from where we will have relatively easy access to the best areas for wildlife. 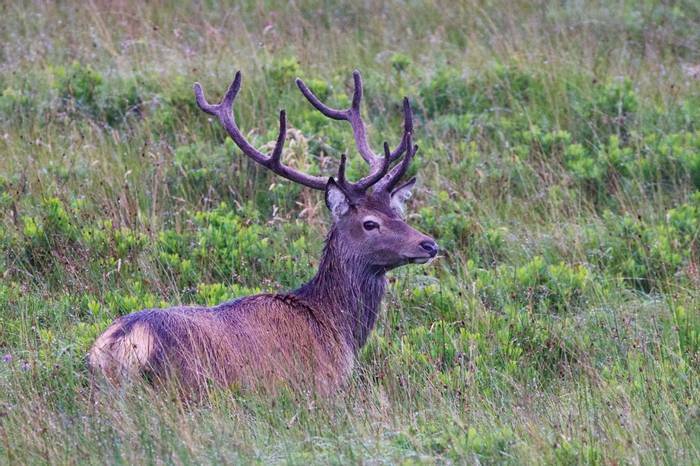 Woodlands around our accommodation hold a high density of Pine Martens and provide cover for both Red and Roe Deer, and August is the best time to admire the full antlers on the biggest stags. Fallow Deer, along with commoner mammals such as Badger and Red Fox, are also possible. Most of these species are best looked for after dark so we will head our after dark on at least one occasion, with a spotlight, for an exciting drive around the peninsula. There is even the possibility of an encounter with the most enigmatic of all British mammals, the Scottish Wildcat. We will spend two days exploring the south coast of Ardnamurchan, which is home to seabirds, seals and Otters. 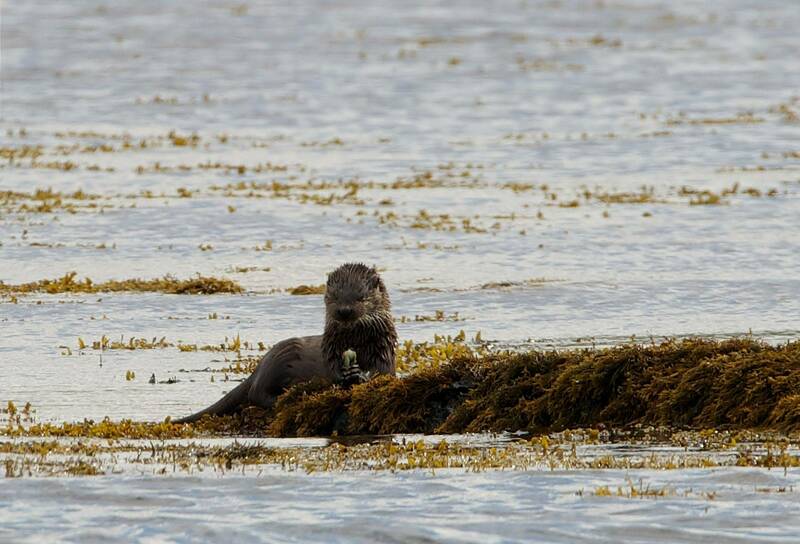 Loch Sunart, which stretches along the south coast of Ardnamurchan, is in fact a Special Area of Conservation for Otter — the sheltered bays near Glenborrodale being particularly good locations for this popular species. As we travel west, the coastline becomes more exposed and both Common and Atlantic Grey seals can be seen, often ‘spy-hopping’ to get a better view of their human admirers! Regular flocks of Gannets, Manx Shearwaters and Kittiwakes sometimes fly close to shore, where we can also expect to see small numbers of Black Guillemots and a range of waders. Looking out from the historic lighthouse at Ardnamurchan Point offers the possibility of other seabirds such as Great Skuas (known locally as ‘Bonxies’), Arctic Skuas and Arctic Terns. 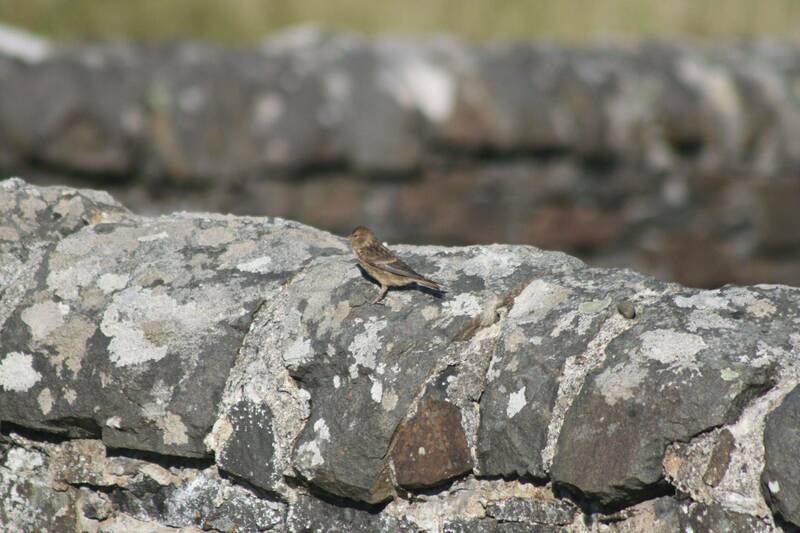 We will also hope to see the Twite flock that often frequents this area from August onwards. One of the highlights of this holiday will be a day at sea with an experienced local skipper. 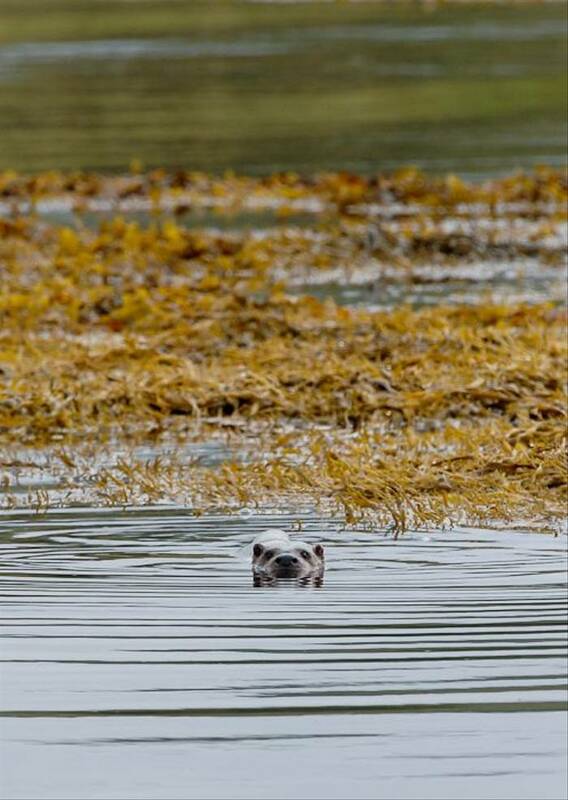 We will sail from Loch Sunart across to Coll, where we can expect close views of the seals that live in the shallow, turquoise waters. After a visit to the Isle of Muck (including a well-deserved tea break in the café), we will return via the spectacular Ardnamurchan Point. We will be looking for the cetaceans that occur regularly in these waters, including Common Dolphins, Bottlenose Dolphins, Harbour Porpoise and Minke Whales; Basking Sharks are also possible. 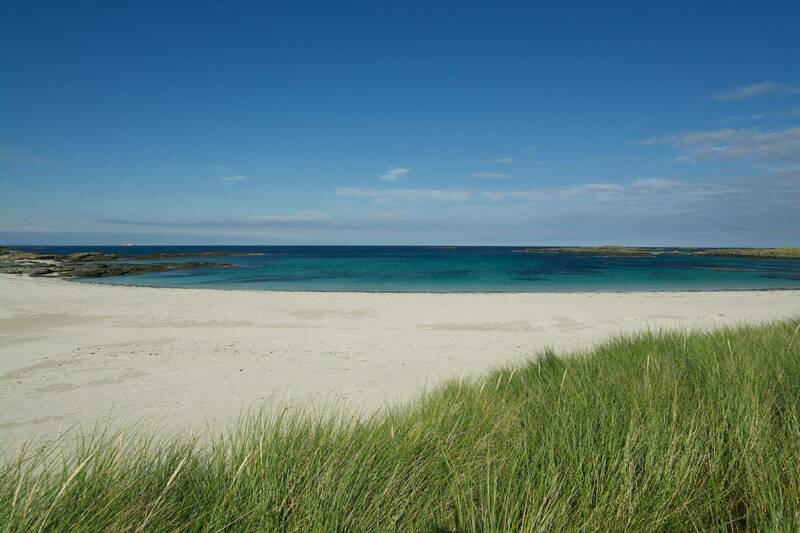 A boat trip across the ‘Sea of the Hebrides’ is an experience that will live long in the memory! We will spend our last two days visiting a variety of sites in the centre and on the north coast of the peninsula, including Sanna Bay, a truly magical beach with white sands and sweeping views across to the small isles. The journey to Sanna takes us through the geologically fascinating ‘Land of the Rings’, a landscape dominated by concentric rings of rocky ridges. This part of Ardnamurchan is home to a range of raptors including Golden and White-tailed Eagles. We will take time to seek out these iconic birds in their expansive wilderness, where displaying Ravens and herds of Red Deer are a common sight. 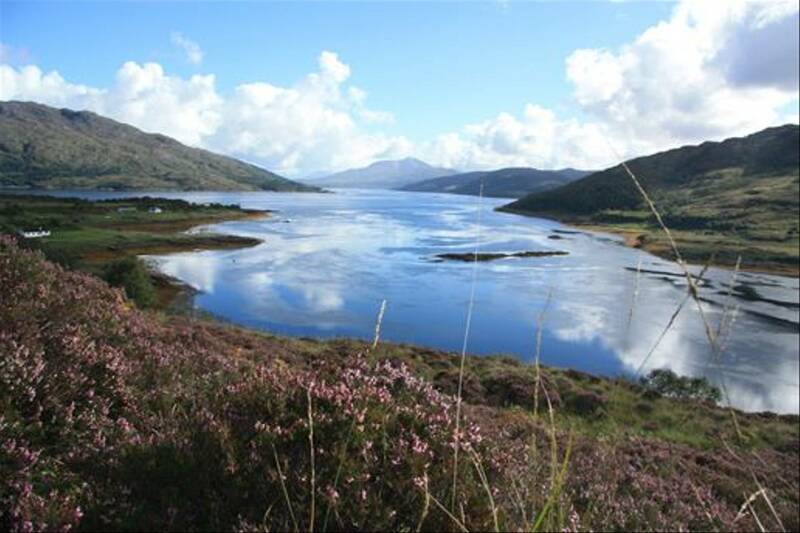 The Ardnamurchan peninsula is a magical place that retains the wild character of the ancient highlands. 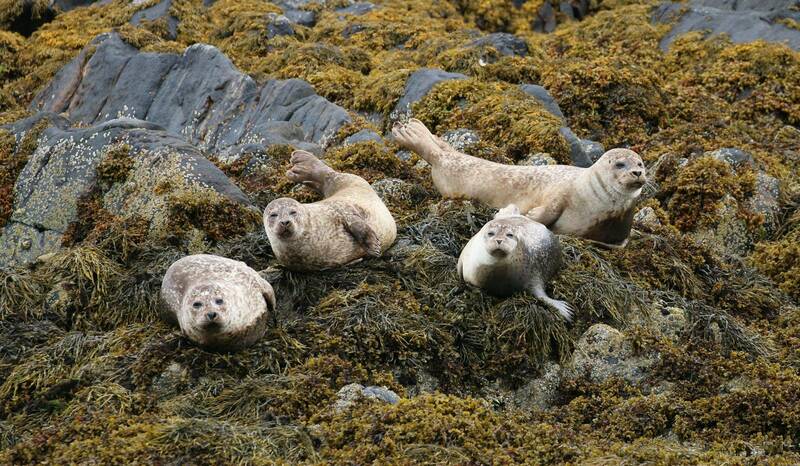 This holiday offers the chance to see a range of wildlife in unspoilt and unforgettable locations. My week on the remote, wild peninsula of Ardnamurchan in the Western Highlands was both enjoyable and rewarding. 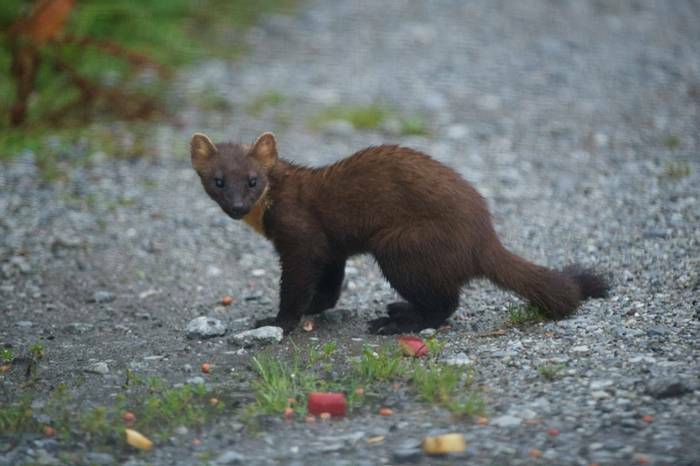 I joined a lovely bunch of wildlife enthusiasts and a dedicated tour leader to look for, and find, pine martins, porpoises, red deer, golden eagles and heaps more flora and fauna. I laughed a lot and kept great company throughout the eight day holiday. I recommend a Naturetrek holiday! Small group (9) plus leader who all got on very well. Good accommodation close to lock sunart. Great food. Great views of all target mammals and birds, really good leader who knew where to take us. Also I think it was great value for money. Would do this holiday again. Have been on a number of naturetrek holidays and always good. These small group holidays work really well for couples or singles like me. Thanks to all. 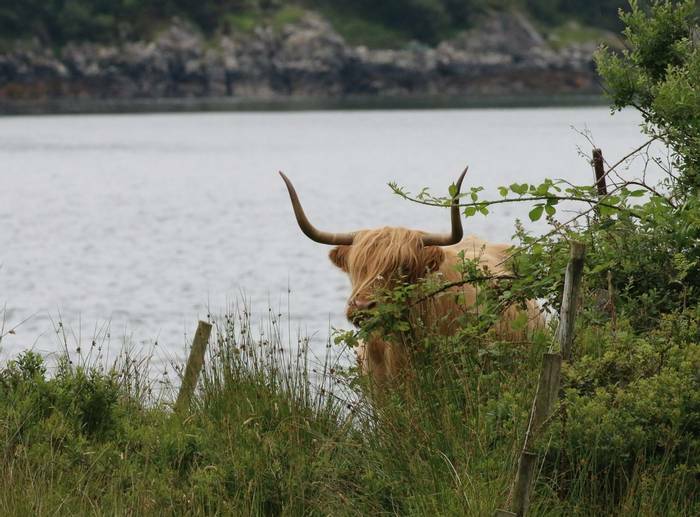 We spent a week on the Ardnamurchan peninsula in Scotland enjoying spectacular scenery and looking for wildlife. Optional pre-breakfast early morning visits to the loch-side provided us with otter sightings and late night vehicle excursions gave a few of us a incredible and unexpected sighting of a wildcat. 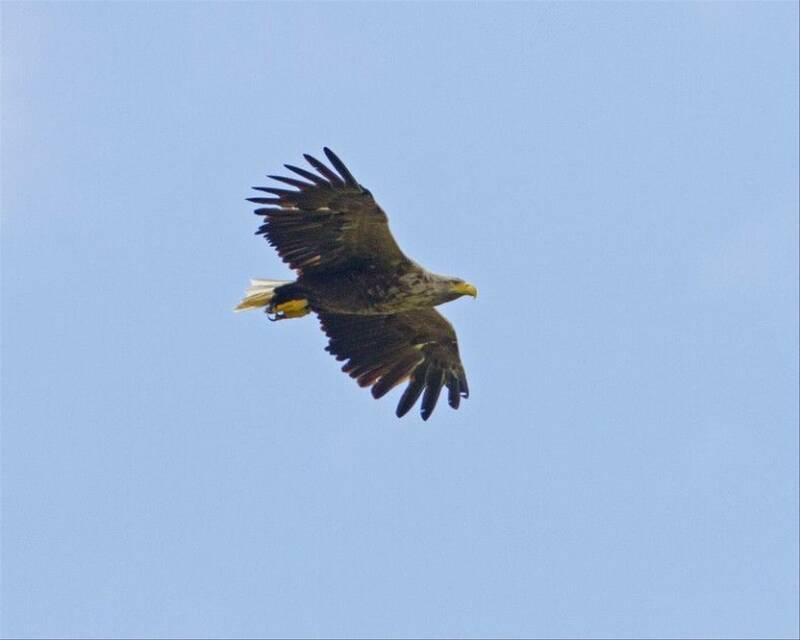 Golden eagles soaring high above, porpoise in the loch, a wonderful boat trip to the isle of Muck and gannets diving into the sea. Lovely memories to cherish. I doubt we would have seen any of these without the help of our patient and knowledgeable tour guide. All this and the people we shared each day with made it a great holiday. The Ardnamurchan trip was brilliant! The accommodation was very comfortable, much nicer than a hotel, the catering staff most friendly and the food excellent. Two good leaders and a lovely group of very nice people! We had wonderful views of otters, pine martens, basking sharks and common dolphins - fabulous! Thank you once again for another enjoyable holiday with plenty of wildlife. The food was first class. My second Naturetrek holiday and I didn't think it could possibly be as good as the first, but it was. 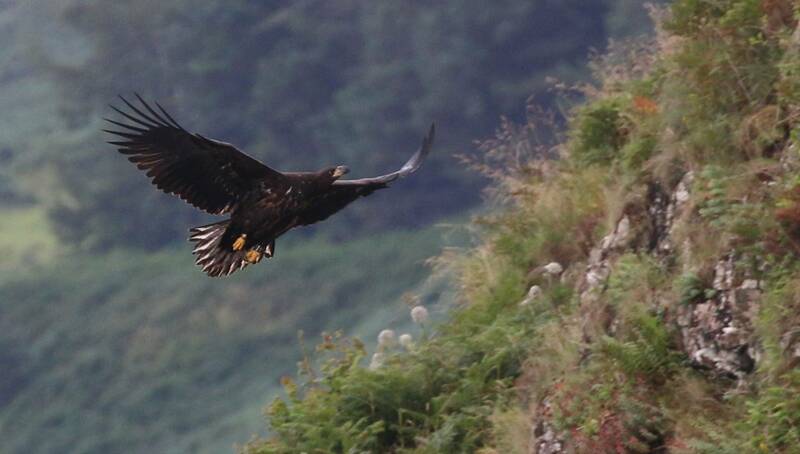 In every respect it was an absolutely incredible wildlife holiday in a stunningly beautiful area of Scotland. My thanks and appreciation to the leaders who made it such a success. The outdoor activity centre accommodation was more than adequate for this trip. Excellent area for drying coats and boots if necessary. Food very good and the catering staff were very obliging to try and satisfy everyone's needs. Marcus was an enthusiastic and knowledgeable tour leader who did his utmost to ensure that everyone got something from the tour. 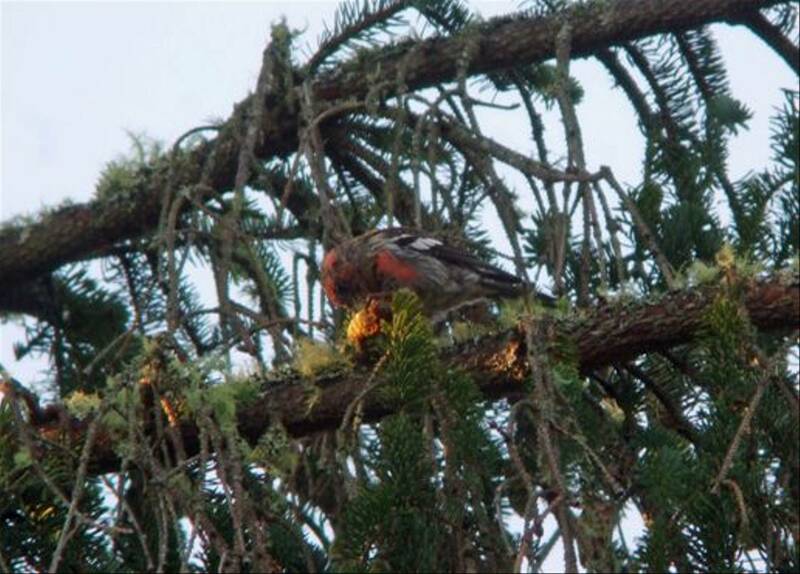 The Pine Martens were a delight and the hour spent in the company of about 30 Common Dolphins was unforgettable. I enjoyed all of it. The scenery the birds the Otters. Marcus was an excellent guide, enthusiastic and informative. I learnt a lot from him. He was tireless, leading us on early morning walks (one of these was a highlight with 2 Otters on glassy calm water) to late night drives. He found us White-tailed Eagles, many Otters, Pine Marten, Scotch Argus butterfly and much more. This trip was close to perfect. 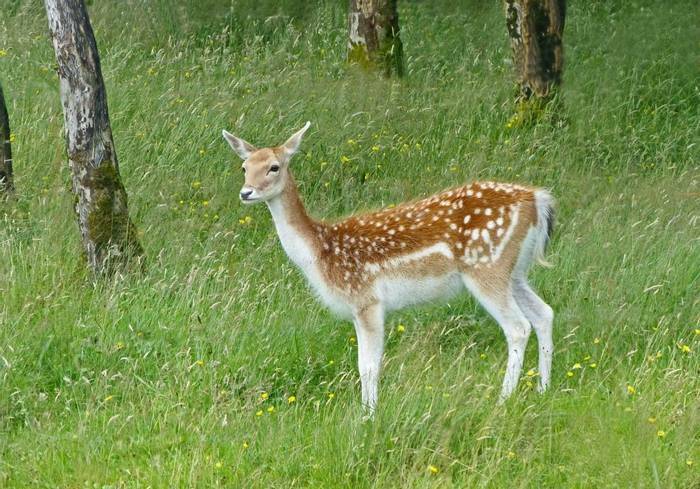 Range of wildlife seen. Very helpful staff at the lodge, knowledgeable and helpful leader, fantastic boat trip and skipper and great range of interests covered. Marcus's knowledge on all furred and feathered creatures. One cannot leave Jane, the cook, out. It's a gold star for each of her menus, lunches etc. Every day of the week. I enjoyed the 2 White-tailed Eagles flying as a mirror image, close up views of Pine Marten and the Otter with the spider crab! The holiday was such a success as we had an exceptionally good leader. The food was excellent with an imaginative menu. The accommodation was comfortable,as described in the itinerary. 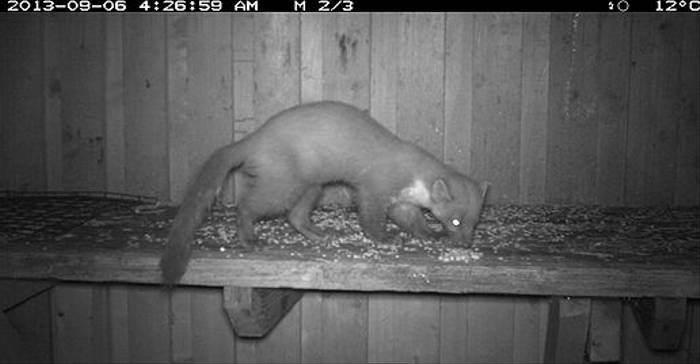 Afforded excellent views of Pine Martens and a nice location by Glenborrodale bay. Excellent food and plenty of it! Content was superb and provided an excellent opportunity to see some of the UK's most spectacular wildlife. If a customer on this departure has already expressed an interest in sharing a room it will be flagged here. We will identify if there are sharing options for male, female or both.